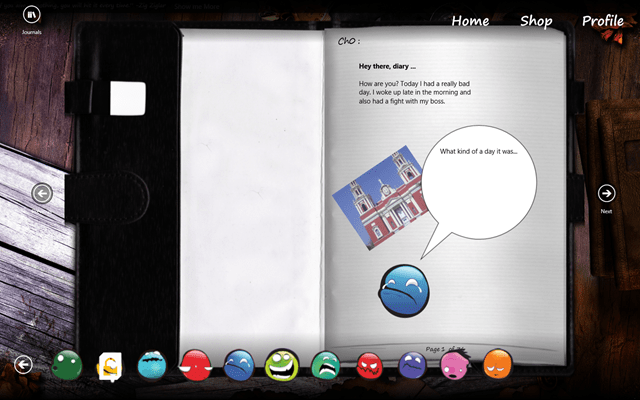 Journal is a free Windows 8 Diary App for writing your daily happenings into it. Many people like to pen down their thoughts and most of them like to decorate their personal diary with colors. You can add pictures, videos and photographs. For all diary lovers, here is an app for you. It’s a smart way to write your dairy and maintain your daily thoughts with the help of this Windows 8 app. 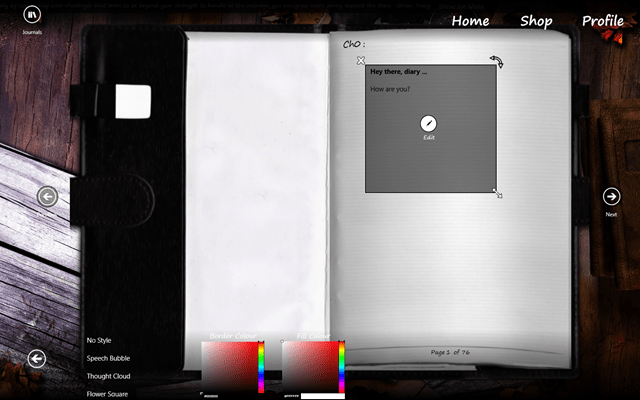 This free diary app for Windows 8 provides you with 2 cool diaries with a number of other themes but for that, you have to unlock it from the store. Just create your account on Journal or you can give it a try by using a guest account. Later, you just have to click on the diary and you are ready to go. You can see the interface here and its pretty nice. Just use the left click button and you can enter text into it. You can also use the features of a text editor with different fonts and sizes and also with a different themes. Just click on the enter test button and you can write anywhere you want on the diary. You can also add pictures into your journal by simply clicking on add photo button. Also, check out our post on Windows 8 App to send Zip files. You can decorate your journal with your creativity. Just write or draw anything you want. You can also draw things into it with the help of drawing tools. Add emoticons to your thoughts and add various shapes to your text like speech cloud etc. 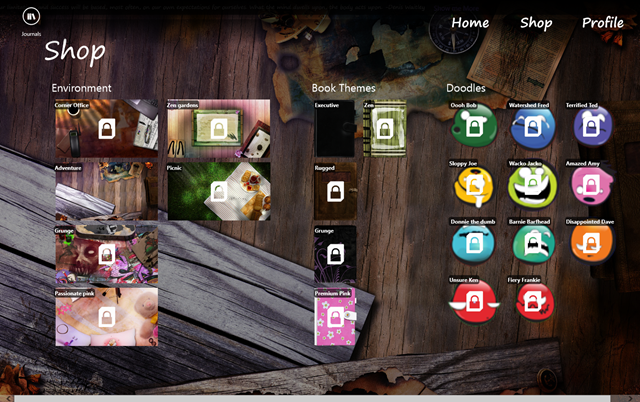 You can also shop for latest add-on like Environment, Book theme and Doodles on the journal Shop. Just register yourself on Journal and maintain your daily journal everyday. So, what are you waiting for? Just install this Windows 8 diary app on your Windows 8 desktop available under the “Lifestyle” category of Windows 8 store. Go ahead and write your thoughts with visuals.